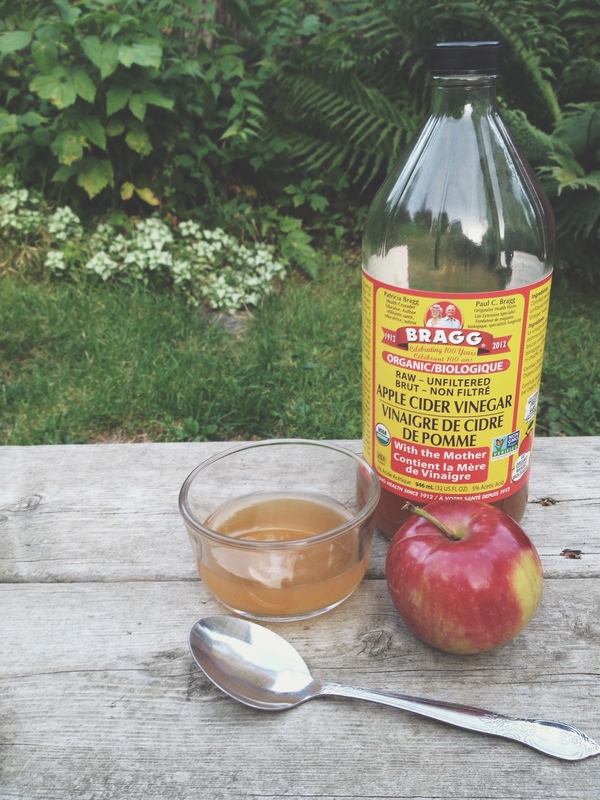 One of my favourite things to have on hand is apple cider vinegar. I absolutely love the taste of vinegar, and I love that it is so useful and multipurpose. 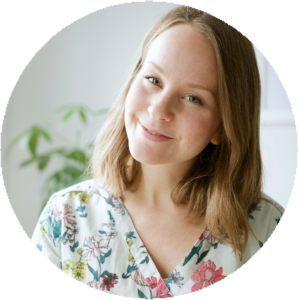 Today I want to share with you 5 uses for apple cider vinegar, and why you should always have a bottle in your cupboard! Apple cider vinegar is made by fermenting the juice from crushed apples. It is rich in minerals and friendly bacteria (also known as the “mother”), so long as you choose a raw, unpasteurized brand. I like Bragg’s, and Omega Nutrition is a good choice too. Apple cider vinegar is great to stimulate gastric juices. In fact, the acidic nature of apple cider vinegar mimics stomach acid and in turn aids digestion. That’s why many people find relief from taking apple cider vinegar for heartburn — often the issue is not too much stomach acid, but too little. Just like lemon and water, a spoonful of apple cider vinegar in a glass of water is excellent as an alkalizing tonic. Despite its acidity, apple cider vinegar actually becomes alkaline internally after it has been metabolized. 1 tsp in a little water before a meal is all you need to stimulate digestion. This is of course one of the best uses of all – apple cider vinegar is a delicious addition to all kinds of salads, dressings and marinades. One of my favourite salad dressing combinations is olive oil, apple cider vinegar, tahini and basil. You can find my recipe here. One of my most recent uses for apple cider vinegar is as a hair conditioner in the shower, and it works marvellously. Two of my good friends can both vouch for this: it truly leaves your hair feeling soft and clean, and is great for detangling. Apple cider vinegar is also useful for dandruff. I add equal parts apple cider vinegar to water in a spray bottle, spray it on wet hair in the shower, and leave it on for a few minutes before rinsing. This is my favourite new conditioner! You’ll know what I mean if you try it. Best part is it’s inexpensive, too. If you’re looking for super soft skin, try adding 1 cup of apple cider vinegar in your bath. Fun fact: the inside of our body loves a more alkaline environment, but the outside of our body – like our hair and skin – prefers more acidity. The pH of apple cider vinegar helps to balance us both internally and externally (and is also why #3 works so well!) Apple cider vinegar can also be used topically for a variety of skin ailments including insect bites, warts, and sunburn. Apply directly to skin, or dilute in a little water. Apple cider vinegar works wonders for getting rid of fruit flies! I discovered this recently thanks to my brother: Simply pour undiluted apple cider vinegar into a small container, cover with plastic wrap, and poke a few holes in the top. The flies will collect in the container. It’s actually pretty gross. But it works. These tips are for apple cider vinegar and do not refer to white or other vinegars. Make sure to dilute apple cider vinegar when consuming, or when used topically if you have sensitive skin. There are dozens of uses for apple cider vinegar. It’s an inexpensive, highly versatile addition to anyone’s lifestyle.